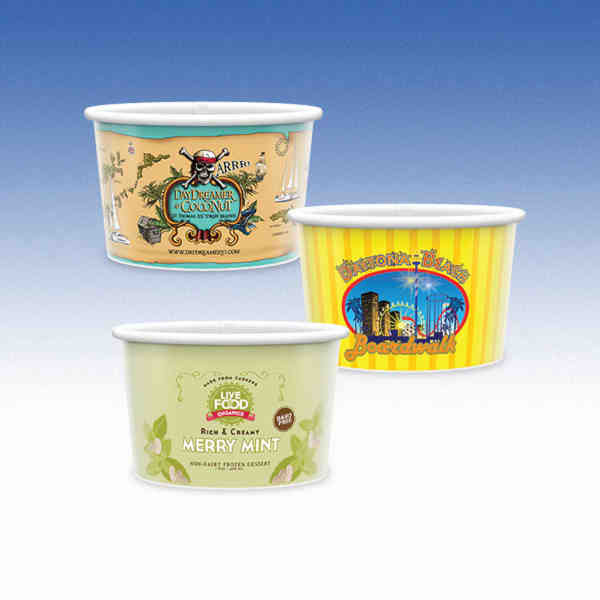 These AWESOME 5oz-Microwavable Paper Containers are microwavable disposable containers printed in Hi-Definition full-color with a high-gloss finish creating colorful, economical promotions that make a great impression. These paper containers are great for products that need to be re-heated or served hot like oatmeal, soups, and take-out. Also use for promotional kits, deli containers, and packaging-any time your project needs a visually powerful, economical container.Made in the USA using USA made materials.